2012 Dates Now Available! Be quick to secure the villa you want. A large 4 bedroom Istrian stone villa with pool, decorated in a country style in a peaceful and rural setting. Stay in peaceful surroundings in the midst of the Istrian countryside this 6 bedroom house, close to Baderna. A pretty stone villa with pool set within spacious tranquil grounds near to Barban. 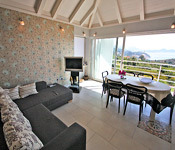 Stylish apartment with private pool which epitomises elegance and finesse. Decorated with a blend of modern and restored antique furniture. This outstanding villa sits on a stunning beach in the Makarska Riviera, an area renowned for its mountain backdrop and crystal clear waters. 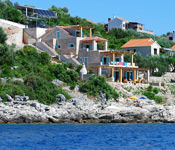 With sea views over the Elaphiti Islands this property is located in the village of Orasac near Dubrovnik. This sea facing property offers escapism with the delight of nearby Brela’s amenities and picturesque harbour a short walk away. 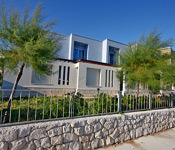 A one bedroom apartment with an enviable location in Brela, one of Croatia’s most popular beach resorts. Five bedroom seaside villa, draped in magenta bougainvillea, located in Baska Voda along the Makarska. Located in Mirca village on the island of Brac, this large villa is decorated in a contemporary style with a light and airy feel. Within easy walking distance of local bars, restaurants and cafes are these two bedroom apartments on Brac. These attractive Korcula apartments offer a stunning and tranquil waterfront position with great sea views.